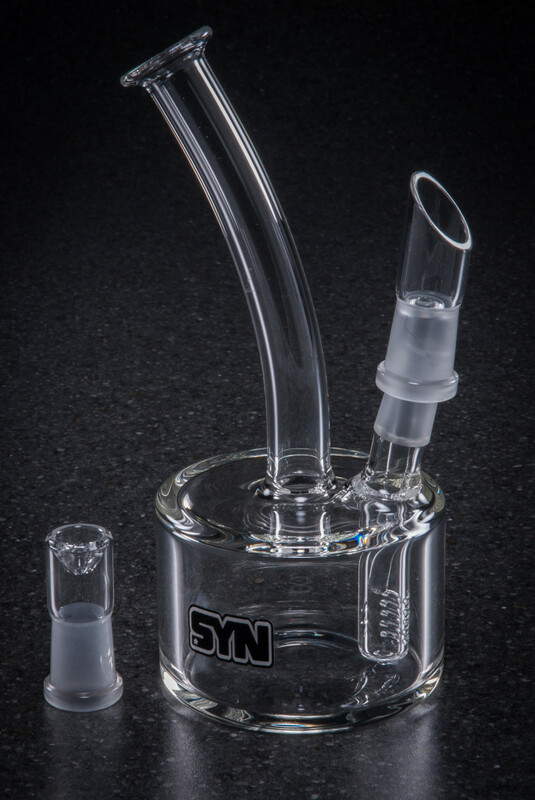 The Hitch Hiker is a newer design from the SYN labs. Featuring a larger bore body and a bent neck/ bent ground joint approach, its as simple and clever as it gets. 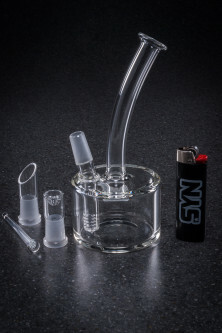 The cuts on the inverted inline cut into the down stem are flame polished and designed to all generate diffusion. Simpler designs without built out bases save money for the end user. Fits in your cup holder!